The historic UFO case of the Reed Family, was assigned a Vallee classification of “CE4” (close encounter of the 4th kind), with a case category of 3 (physical evidence). The case has many layers and is deeply entwined and remains one of a few CE4 cases to be mentioned within the walls of the United Nations. The evidence in this case would include a significant amount of radiation, and strong magnetic fields, and is one of a few to have been collected and documented by those in law enforcement. It includes a history of testimony gleaned from conscious recollections, an abundance of documentation, administrative testing, and official reports, followed by dark consequences. The history involves Marian Burrows, grandmother, Nancy Reed, mother, and the two brothers, Thom and Matthew. 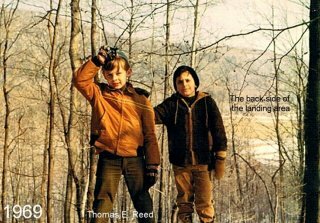 In the quaint town of Sheffield, Massachusetts, in the 1960’s, Thomas, age 6, and his younger brother Matthew, experienced life altering events. Due to their vulnerable age, these encounters had an enormous impact on them, crushing their belief system, and denying the two boys of their reality, normalcy, and spirit. 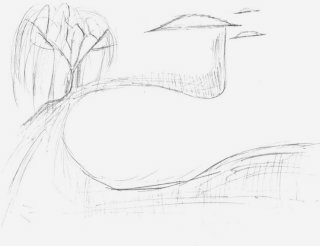 Both have conscious memories of the lengthy experiences with non-human entities, and being taken aboard a tarnished circular looking vessel where an image of a willow tree was displayed, and still remains imbedded in the mind of Thomas to this day. During a fall evening, in Massachusetts, and after a barrage of bright bursts of light, a flash fired through their bedroom window, Thom was engulfed and Matthew was now speaking to an empty bed. An odd stillness accompanied the light, and seemed to be what left their mother, Nancy, and their grandmother, Marian, in a cataleptic state, in an adjacent room. Matthew ran to his mother, only to find her in this unresponsive state from which he could not wake her. Once she partially regained her senses, Nancy headed to the boys’ bedroom, but before reaching the room, heard a cross between a loud screech and a door slamming. Matthew was no longer beside her. Now alone in the home with only the grandmother Marian, who stayed at home while Nancy began to frantically search their 80-acre horse farm on horseback, where she eventually spotted them from the Appalachian Trail. Thom and Matthew were about 15 feet away from each other, on a wide, dirt path, eyes locked on one another, heavily shaken and in need of care. According to Nancy, the boys were visibly suffering from shock. She stated Thom was not responding at all. Their mother and grandmother gave them fluids, wiped the boys down with washcloths, and wrapped them in warm blankets. As they did so, Thom sat staring at a metal bottle top that Matthew was toying with, watching as it reacted strangely to his brother’s touch. The adults watched over the boys, until they dozed off on the living room sofas next to a fire. 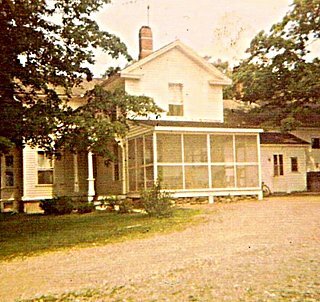 The later encounter of 1969, involved four members of the Reed family and the night that would finally drive them to sell their home, property and restaurant, the “Village on the Green”. Nancy, Marian, Thom and Matthew were headed home following a horse show, at about 8:00 at night, when they observed what Marian referred to as a bright “floating strip mall” above the left side of the station wagon. The family spoke of what was felt as some sort of force, and a tingling vibe, running through their bodies, before their car coasted to a stop off to the right side of the road. Only the sounds of stones tapping under the fender walls of their car were heard, followed by a dead silence. A barometric change in pressure was also felt before a deafening eruption of katydids and crickets. The family has collectively been able to reconstruct and piece together much of that night in 1969. Thom’s recollection is one of disturbing accounts in a large dark room, and long brightly-illuminated hallways, under a body-encompassing chamber/cylinder, and crying out for one another. Many have asked how the beings appeared and there has been a lot of speculation on the terminology. Thom has described the beings which were witnessed as being a genetically engineered or manufactured intelligent insect-type being with some human characteristics, such as hands, that would stand on two feet and vary from three to five feet in height. After their return to the vehicle, the family experienced a period of disorientation, where it was said that the car was facing a different direction than when it had come to a stop earlier. Thomas ran to his grandmother, who was wandering aimlessly in the middle of the road; Nancy cataleptic in the passenger seat but had been driving earlier; Matthew was unconscious in the fetal position in the backseat. Several years later, Nancy married Howard Reed, and recounted her family’s history with UFOs and non-human entities as far back as 1954, in Moosehead Lake, Maine. This ran in stark contrast to Howard’s political aspirations, the position he held in local office and his high standing in the community. By the 1980’s, Thom’s father, Attorney Howard Reed, PhD, met Attorney Robert Bletchman, who became Thom’s personal attorney, and spent years reviewing the Reed case, even locating corresponding reports and supportive testimony, to include several dozen witnesses. Robert discovered supporting documentation, including an incident in August of 1969, where a Hynek & Vallee rating was assigned to a South Egremont Country Club case that placed a craft over the Reed’s property. 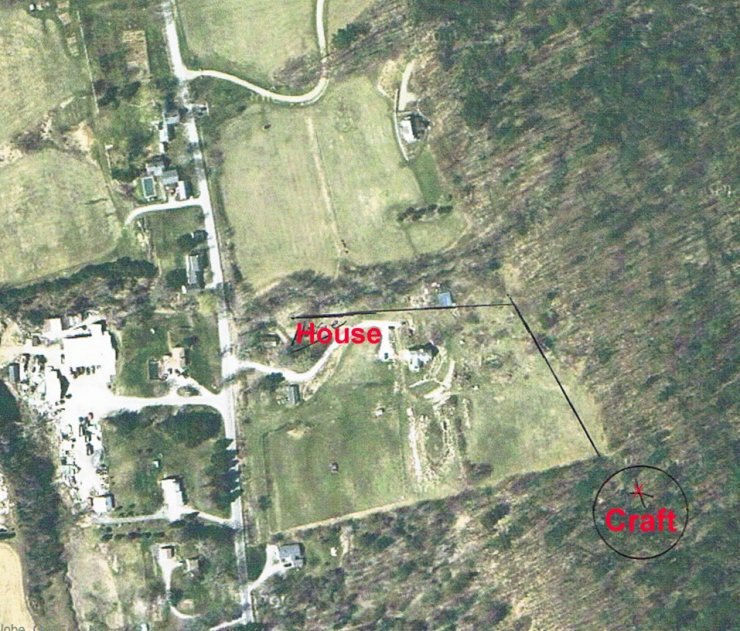 Many of the witnesses, who gave testimony in 1969, were just 7 miles from the Reed home. In 1992, the Reed’s case would assist Bletchman by adding credible and corroborated testimony, to include the Reeds’ statements on the barometric change in pressure, electromagnetic “vibe”, calming state, and the manipulation of gravity, all of which was voiced in support of other cases by Robert at the United Nations Symposium on October 2, 1992. The objective of the Symposium was to introduce substantiated cases to motivate the U.N. to reconsider 33/426. (33/426 references an establishment of an agency or a dept. of the U. N. for undertaking, coordinating and disseminating the results of research into unidentified flying objects.). This came 10 days before NASA began SETI’s Microwave Observing Project (MOP/HRMS). This United Nation’s mention was a testament to the caliber and the seriousness of the Reed case. What prompted the Reed case to resurface after several decades were the brothers’ encounters 40 years later. The evidence in the encounter of March 30, 2009, involving Matthew in Brownsburg, Indiana, was investigated by those in law enforcement, as well as Aerospace groups. Matthew’s SUV instrument panel was found to be damaged; Matthew was missing time and there was blood on his steering wheel and shirt; a rather high amount of radiation was detected and verified; magnetic fields were also witnessed and recorded on video. This magnetism would spin a compass needle from a distance of two feet. Officer White, a detective, with over 30 years law enforcement experience, worked the case, and reported it as “authentic encounters with an unknown powerful force”. Robert Bigelow, the founder of Bigelow Aerospace, had recently financed an organization and teams to investigate CE3 and CE4 cases, such as the Reed case. Additional organizations also researched the Reed case, such as the Star Team and smaller third party groups. All investigating personnel came to the same conclusion, and validated the radiation, magnetic anomalies, as well as medical records, statements and testimony. Thomas’s recent encounter would also be investigated by Detective White, who also in 2010 took Thom to Advanced Polygraph. Thom passed his Polygraph test on his family’s encounters which covered a broad spectrum of events dating back to 1966, with a score of over 99.1%, which was administered by a 30 year veteran police officer, at the Department of Defense, Polygraph Institute / Advanced Polygraph. Note: In 2006, Howard voiced his interest in a collective book project on the family’s experiences with vessels and other life forms, to include a compilation of sensitive material gathered over the years. Howard suffered an untimely death by a virus of “unknown origin” on October 2nd- this was 14 years to the day after the Reed’s case was mentioned at the United Nations Symposium, October 2nd, 1992. The CDC, on sweeping Howard’s office, reported finding a vial containing the deadly virus in his air conditioning unit. The building was closed and remains closed to this day. Oct. 6th was then proclaimed a day of remembrance in Howard’s honor, by the City of Bridgeport, CT as he was strongly supported by Senator Christopher Dodd. A Ph.D. who released his test results regarding the Reed case after evaluating family members, on September 15, 2010, was also found dead on November 12th, 2010, just eight weeks later. In memory of Tom’s father, a commemorative bench can be seen in the City Green. Thomas Reed was a South Beach fashion photographer, and the founder of Miami Models, w/clients: Polo Black Label, Tommy Hilfiger, and Ralph Lauren. He held positions in upper management with companies, Honeywell and Entergy. Several of Thom’s childhood sketches from 1969, depicting what he witnessed first-hand involving his encounters, are displayed at the Roswell UFO Museum. Thom was not the only child to draw renderings, as many of the children penciled what they had seen, which also hung next to Thom’s, beneath the chalk board in his fourth grade classroom. The family members share the same blood type, O Rh negative, and A Rh negative.